In the hours and days following the Zimmerman verdict, a kind of racial segregation has re-surfaced, not in formal, legal terms but with regard to human affect. The line is drawn not in terms of ancestry but with regards to a different set of relations. The Zimmerman verdict fortifies parental fears that particular children are especially unsafe. 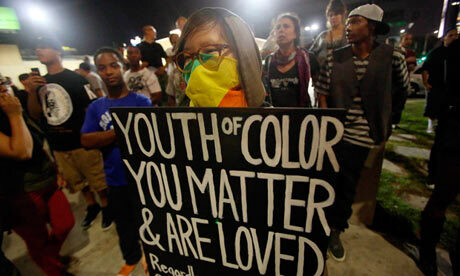 Some of us are raising Trayvon, and some of us aren’t. In recent forum on race, racism, and feminism, here at The Feminist Wire, Duchess Harris explored the problematics of white feminist responses to issues contouring Black women’s lives. Her essay titled “Your Feminism Ain’t Like Our, Because We are Raising Quvenzhané” came on the heals of the obscene treatment of the Oscar nominated actress and white feminists’ relative quiet in the face of her attack. Harris’ essay identifies ways white feminists consistently function as bad allies to Black women and the complex reasons why, but it’s the simplicity of her title that calls to mind a basic but penetrating difference between white and Black feminists. By and large, our children do not resemble one another’s, and therein lies a critical gap in understanding. On the heels of George Zimmerman’s acquittal for the killing of Trayvon Martin, I am again worried about white feminists’ silence in the face of brutality driven by racism (in the form of Zimmerman’s assault on Trayvon, delayed arrest, and sickening trial). But I’m deeply concerned about what white feminist non-silence in these moments often sounds like too. White feminist silence and bad allying are two sides of the same coin. Both responses are shaped by the very same problem. White feminists’ indifference and/or anxiety produces silence at the exact moment that solidarity is needed. And white feminists’ egoism and/or lack of empathy drives bad allying when deep listening is what is called for. In both cases, the perspective, emotion, or interests of white feminists trump Black women’s pressing needs. Given the frustration with white feminists’ silence and bad allying in the face of violent racism, there seems to be another kind of response desperately need in this very moment. Harris’ declaration “We Are Raising Quvenzhané” may provide us with a place to begin. In making such a claim, Harris is naming the shared experience parenting Black children, who are uniquely vulnerable due to enduring patterns of racism in the United States. What do we learn by thinking about the difference between what it’s like to raise Quvenzhané” and to not raise Trayvon? How does who we are raising (literally or in our imagination) impact our experience of this event, our immediate response to it, and our awareness of others like it? Of course, many Black women are not literally raising Quvenzhané, and many white women are raising sons that look like Trayvon. But a white feminist response that contests silence and hopes to avoid bad allying might begin by feeling though these questions. What Black (and non-Black) women (and men) who are raising boys that look like Trayvon and girls who look like Quvenzhané know especially well is that Trayvon Martin’s death is not unique. And deaths like his are attributable to widely held perceptions that are dismissed as inconsequential at the same time that these beliefs yield life and death consequences. 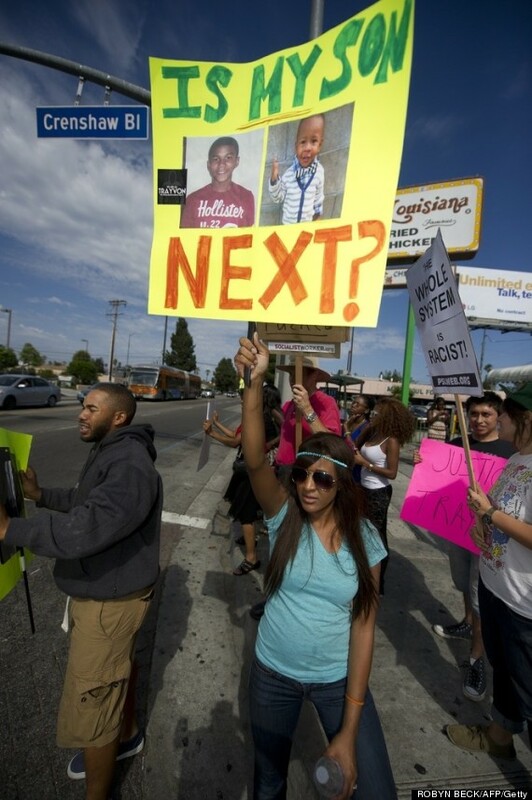 If Trayvon Martin’s death were an isolated event, it would be utterly tragic. If George Zimmerman’s pursuit of an unarmed Black man were unique, his behavior would be monstrous. Neither one of those things is true. 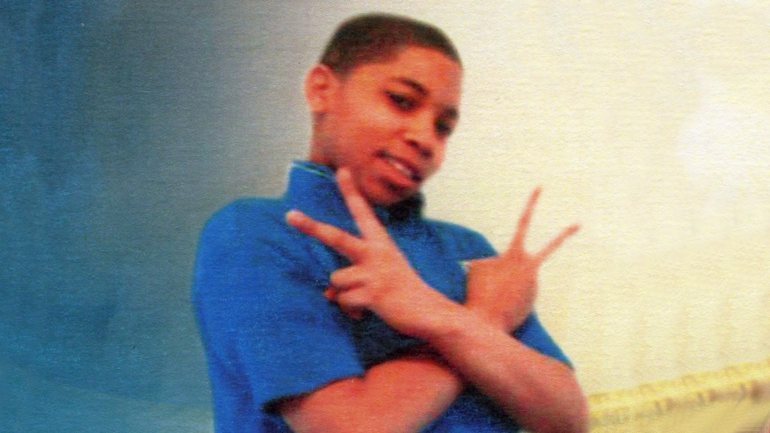 The death of Martin and boys like Kimani Gray depend upon a broader structure of white supremacy wherein the perceptions of Black men are bound up with criminality. The killing of Kendrec McDade and Timothy Stansbury Jr. happen because subtle (and overt) stereotyping of Black boys and men goes uninterrupted. All of these boys were unarmed. All of their killings were ruled lawful. What does it say that I could have chosen from hundreds of names of unarmed Black children (overwhelmingly boys) shot and killed? This moment is deeply personal for the people who see their sons in the faces of these boys and who know that this event is not an isolated one. If those raising Black children need to be vigilant about how their children are perceived and the potentially violent consequences of those perceptions, and if there is no evidence that white children experience disproportionate surveillance and excessive police force, then we have vivid confirmation of one fact— there is a racial disparity around the risks associated with being a child and thus a racial disparity in the experience of parenting. The killing of Trayvon Martin, the subsequent trial of George Zimmerman, and the racially disparate responses to these events point to visceral differences in the lives of women (and men), based on the race of their children. While white feminists shouldn’t try to make these events and the aftermath “about” white people, but we should be on guard against white defensiveness or white dismissals of what sustains this pattern of violence. Widespread racist perceptions make it possible for police and neighborhood watch volunteers to assume the worst of Black children. Most importantly, white feminists can’t act as if these thoughts are not a big deal. They’re a huge deal. Early this summer on a visit home, I walked through the New Orleans French Quarter on a Sunday afternoon with a white child I dearly love and her parents. While we visited on a corner waiting for the light to change, a group of about ten Black boys approximately the same age as the girl I was with approached the corner biking fast and furious. They took the street corner with expert skill. Their bikes hugged the road as they tilted at a 45-degree angle towards the pavement. The moment sang summertime to me—children free to fill their days with things so sacred they simply had to race to fit it all in. But my breath stopped short when the child I walked alongside named her perception of those few seconds, “They’re probably doing something bad.” I am grateful that her father interrupted the way she made sense of the scene, suggesting that she had no evidence to draw such a conclusion, but what was made clear was that those perceptions already live inside of her. I don’t know how to comprehensively get it out of her. I don’t know how to know for sure how these deeply insidious stereotypes shape my own perceptions unconsciously. I don’t know how to revamp a society in which everyone, regardless of race or ethnicity, is bombarded with racist messaging about who is good and who is bad, who is threatening and who is safe. What I do know is that these perceptions don’t just shape our thoughts and ideas, they find their way out into the world. They travel from the brain through the nervous system to the musculature of the index finger and into physical world through the barrel of a gun. These perceptions rip open the bodies of Black children and the hearts of parents who fear such outcomes for their Black boys and girls too. Some white feminists are raising children that look like Trayvon. Many more are not. But if we seek justice, none of us can wait to have sons that look like Trayvon to take action. When the lives of children hang in the balance, discomfort or fear can’t lead to continued silence about issues that disproportionately impact Black women. And when there’s been a long established history of bad allying, white feminists (myself included) need to get crystal clear that the ongoing and sustained violence directed at Black children is a feminist issue. Thank you for adding this to the list. I am very disappointed by this article. In an article about how white feminists need to do more and be better allies, actually suggesting things that they can do to be a better allies would be appropriate and appreciated. Also, a little more clarity on what constitutes a bad ally, although I disagree with that particular dichotomy of good/bad because when an ally makes a mistake, that doesn’t make that person a “bad ally” that makes that person an ally who didn’t make the right decision at that moment. Not making the right choice doesn’t relegate an individual’s overall history of actions into the trash receptacle, so the phrasing “bad ally” presents a false dichotomy. Some guidance on how to make the right decisions would go further than just an appeal as to why it’s important to be a good ally, which is something I believe allies already want to be. Help allies be better allies, and stop criticizing them for asking how to be better allies. Focus on the answer to the question instead of whether or not they asked it and whether or not that was not a good thing to do, which is misleading, confusing, nit-picking, and totally unhelpful with regards to actually providing any kind of roadmap for how to create positive changes for those who want to be better allies but don’t know how. I would have loved to have heard more about what that child’s father said to her, and to see a brainstorming of other things that could have been said in that moment, or how the conversation could have expanded to help the child think about race more deeply. Thank you for your thoughts. I appreciate the frustration with wanting a how to. I’ve included some links below in the hopes that they are helpful to anyone looking for pages like these. These are some beautiful, practical reflections , which I think outline what to do and what not to do. With regards to allying the what not to do IS as important as the what not to do, from my perspective, because the first thing good allying requires is to minimize the harm that is steadily inflicted by the status quo. One other thought…this piece was motivated by watching the incomprehensible pain of particular parents unfold over the last year in relation to these events. And by the ways elements of Harris’ argument lingered with me long after I read it. I appreciate the how to. But naming differences in experience is important in the service of acknowledging pain and understanding the subtle dimensions of these dynamics is critical too. Healing and transformation depend on both. This article is all over the place. There are plenty of white allies who are outraged, saddened & teaching their children to be open minded. Of course racism is an issue in childhood. It’s an issue period, which trickles into everything. It’s unavoidable unless you can change the perception of the racist. And you can’t. I am a white ally and offended by this article, which is saying white women aren’t doing enough to fight racism/profiling against black women’s children. That’s the message here, right? It is impossible for you to know who or how many are protesting these horrific incidences. ^ Does this comment not fit into what this article tries to point out? Why can it just for once not be about whitewomanfeels? Can’t you all just go on to listen and process? Because we never thought about this before. We haven’t “processed” it. When should we let you know that we finally “get it” and are once again allowed to speak? Rather than, you know, shutting up and looking pretty. BTW, this article is ABOUT how #whitewomenfeel. Yes, but ultimately it is not about you or your feelings. Being a good ally means knowing when you are at the center of the discourse and when you’re not. Good allying is not about entitlement and bombarding the platform for the mic to share about all the ways YOU’VE been a good ally. Those actions in themselves are contradictory. If you are a great ally, then BE a great ally. Do the work of justice. “Good allying is not about entitlement and bombarding the platform for the mic.” So my point of view is not welcome in this conversation? Would you prefer I share someone else’s experience or just shut up and go away. And btw, it’s usually men, not allies, who tell women that they’re talking too much. Thank you Elana. White “allies” often show their true colors in times like these by throwing tantrums as opposed to listening and taking heed. Gee, I thought I was entering a conversation. Usually it’s white men who tell white women that talking about their own experience amounts to “throwing a tantrum.” Hysterical, you know. I’ll tell you what my male African American attorney friend (son of an Alabama sharecropper) said when I told him I didn’t want men in my negotiation classes. I said “thank you” and went away to think about it. I didn’t tell him that he didn’t know what an ally was, that he should just “process” what I told him and go away to figure out how to be an ally to women himself. We’re now deeply engaged in a race-gender conversation that’s been enlightening and maturing for both of us. He bought “Lean In” and read it. I bought “The Warmth of Other Suns” and read it. He said “you never saw a white woman hanging from a tree.” I shut up and went away and “processed” that, as did he. I cannot learn your experience unless you are willing to share it with me. And you can’t learn mine unless I’m willing to continue sharing it with you even after you’ve politely asked me to put down the mic and leave the room. It is no one’s responsibility but one’s own to educate oneself about allyship. How do I learn allyship without talking to my allies? OK, I’m going to do that terrible thing now that #whitewomendo. I’m going to talk about my own experience in response to an article that is about my [supposed] reaction to “your” experience. I’m already an ally. I’ve been an ally since 1965. I’ve been a feminist since 1972. I’ve heard these complaints about this nameless, faceless group of “white feminists” (are they like the Elders of Zion?) I’ve never been able to identify these women either from a male or from any other point of view, including that of women of color. I widen my circle. I am inclusive rather than “diverse.” I mentor. I sponsor. I AM mentored. I AM sponsored. I am not post-racial. I am a friend. I am an ally. Sometimes I feel as if the people with whom I am allied are spitting in my face. That’s OK. It represents strong feeling. I stay anyway because I know that behind every accusation is a request for help. I need help. You need help. We all need help. We cannot change the attitudes of people who are unconscious of their biases until WE get it together. Let’s talk about how to do that instead of demonizing one another. #whitewomanout. Thank you for sharing your story. We’re glad you’ve been an ally. With that said, continue to DO the work of allying. I am reminded of that old basketball cheer: Stand Up, Sit Down, Fight Fight Fight. I have no idea what I am being asked to do. As a white woman who chose to not have children, perhaps I should have not read this article? Good allies don’t ask those they seek to support to stop dealing with their own pain at a horrifying moment that strikes POC far harder and more viscerally than it can ever strike a white person, and start teaching their allies how to be good people. They go looking through the archives, because this topic has probably come up before. I will never have to teach my son how to look unthreatening to white people. That is one huge, looming difference between my parenting experience and that of any POC. The best I can hope to do is to teach my son not to fear black people, to the best of my ability. I hope I succeed. Most of the white feminists I know are– as I write this– on their way to the Florida state Capitol to join the sit-in being put on by Dream Defenders (with their children and sleeping bags in tow). I’m not sure what you’re talking about that white feminists are “silent” on this issue. Who are these silent feminists?? Radical white feminists actually came out of the black civil rights movement of the 1960s, and that’s where they learned to organize. And when Stokely Carmichael, of SNCC, told white people in SNCC “go fight your own oppressors”, many of these white women took his advice to heart and decided to start a women’s liberation movement– owing their organizing skills, their strategies, and their politics entirely to the consciousness they developed working in SNCC. Kelly, are you arrogant enough to 1) believe that “most of the white feminists you know” are the majority of white feminists in the US, and 2) ignore the history of race and social movements documented by TONS of black feminists from the second wave for this very issue??? White feminist silence on issues of race is well documented. This is why BLACK feminists distinguished themselves as such. Do the work. Stop making excuses. And kudos to your white feminist friends–for doing what’s humane and expected. Obviously, sitting in silence is bad. Speaking out about this is bad because my son is not black and I don’t have to teach him to not look like a threat. If I am given two pieces of contradictory information, what am I supposed to do for the people I care about that are dealing with these issues rather than asking them, personally, how they want my help?